June 29, 2018: With the advent of the busy summer travel season, the traveling public is advised that powder like substances 12 oz (350ml) or larger are now prohibited in the cabin of aircrafts and as such must be placed in checked luggage. Medically prescribed powder-like substances, baby formula and human remains are exempt and can be placed in carry-on bags. Other powder like substances such as sugar, flour, cosmetics and coffee and others that are more than 12 oz (350ml) must be placed in the traveler’s checked luggage. As a result of the busy summer travel season and the added security measures, the travelling public is reminded to arrive 3 hours ahead of time for US bound flights. For persons travelling on early morning flights between 6:00am and 7:00am please note that the doors of the airport open to the public at 4:00am. Most airlines with early flights begin check in at 4:30am. United States Customs and Border Protection Pre-Clearance opens at 5:15am. The Transportation Security Administration (TSA) are working with local aviation stakeholders to ensure these enhanced security measures are fully implemented. The major implementation of these changes at LPIA will fall under the purview of the Airport Authority (AA) and the airlines that service US destinations. The AA is the entity responsible for security at LPIA. 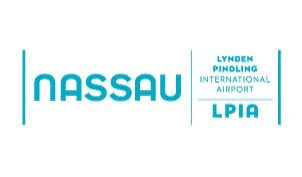 As the airport operator, Nassau Airport Development Company Ltd. will work with AA and the airlines to support the implementation of the changes and the passenger experience at LPIA. These enhanced security measures will help to secure all commercial flights departing Bahamian airports that serve as last points of departure to the United States. Twitter and Instagram – @nassau_airport.